So, as Saturday is my little lifestyle slot, I thought I'd write a little post about my very first semester at uni. It's been a difficult few months so sorry in advance if this post is rather long! 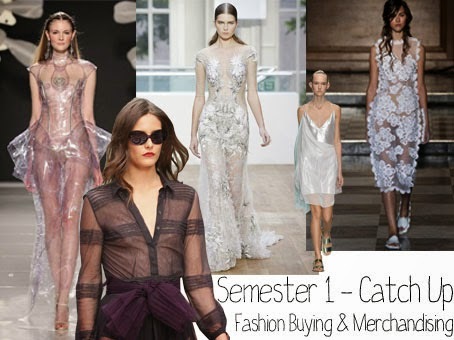 Before I forget to mention, I am studying Fashion Buying & Merchandising! So, all the way back in September, I moved from home to live in university halls. I've always been a bit of a home bird, and was pretty nervous about moving out. I knew of most of my flatmates via Facebook, but I still had doubts in my mind. Unfortunately, living in halls did not work out for me. I didn't particularly get on with my flatmates, and I had a big shock which lead to a pretty miserable time for me. I'm not a major 'clubbing' person - I like a good night out, but just not every night! Luckily, I was enjoying my course a lot, which made me want to stay at university, but I really didn't think halls were for me. Luckily, as I don't live too far away from where I was studying, I made the decision to move back home for the year and commute in for my course stuff. I've actually realised that this was the best decision for me to make, as I really wasn't ready to move out, and am much happier at home! I also don't think I would have got my blog back up and running had I still been in halls. I do want to move back next year though as I don't want to totally miss out on the student/uni experience. In regards to my course, I absolutely love it! It's exactly what I wanted to do, and I have had some really fun projects such as creating a magazine spread for SS15 trends, and it's made me realise that fashion is definitely the industry I want to go into. I have also met some really lovely like-minded people through the course too.